We are a family-run charter coach service company based in Bangkok, Thailand. 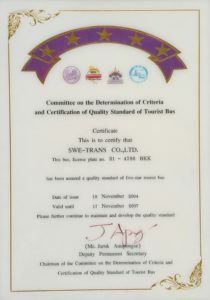 We focus on providing professional charter transportation services around a beautiful country of Thailand with our 24-year experience in this industry. 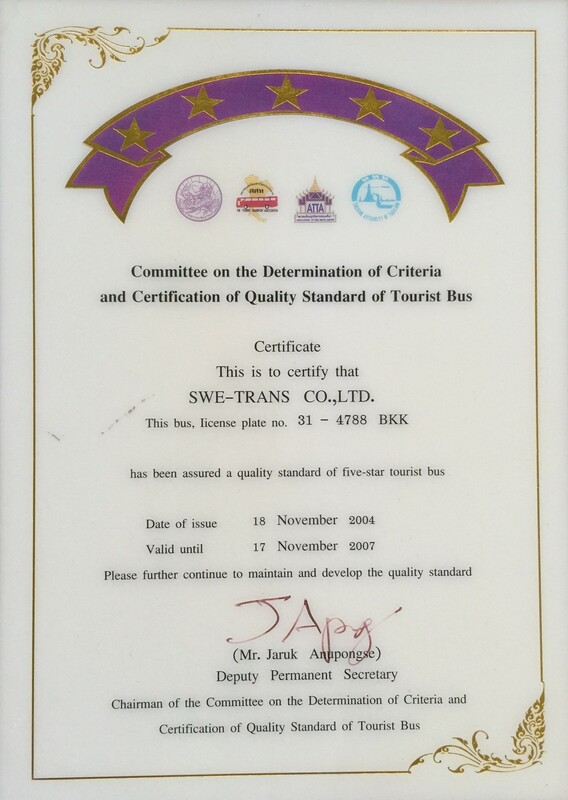 We, as a family, aim to improve the standard of service and transportation system in Thai tourism industry by improving our human resources, coach standard and the organization in order to bring our passengers safety and comfort from the very first moments they step on the coach until they reach the destinations. As well as cultivating an excellent service mind to our family, we develop and maintain quality of coaches to the highest. 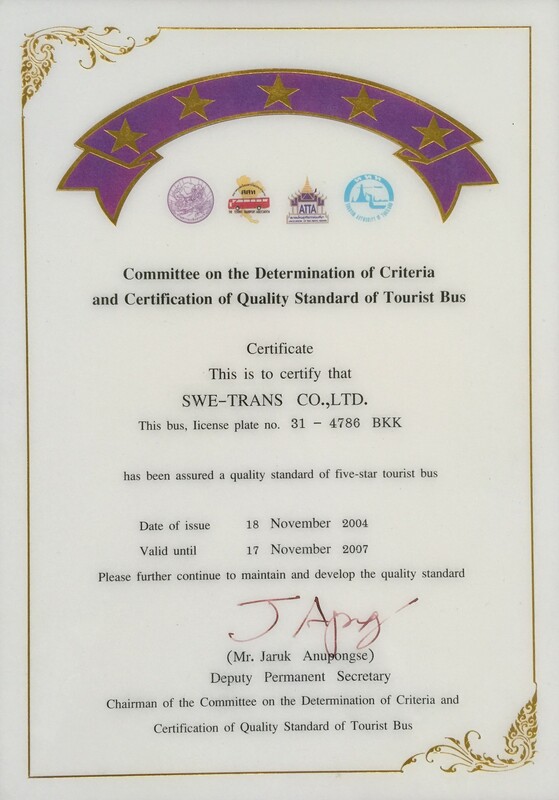 On November 18, 2004; we had certified a quality standard of five-star tourist bus by the Thai Committee on the Determination of Criteria and Certification of Quality Standard of Tourist Bus. After years of hard work and never stop improving our product and service standard, there are hundreds of inbound and domestic tour operators, travel agencies, public and private organizations who trust in us.